Contact me if you have questions or you would like to join the ready line. 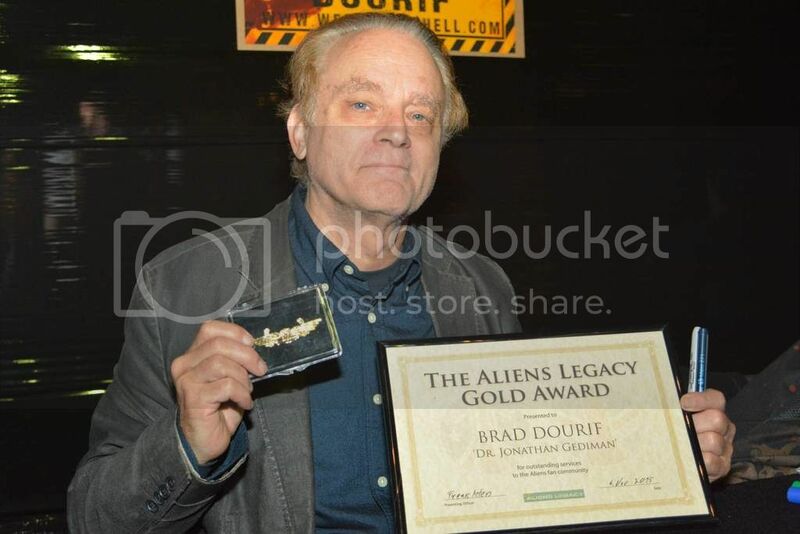 The plan is to present ALG award to Brad Dourif and clear the area of bugs & zombies. 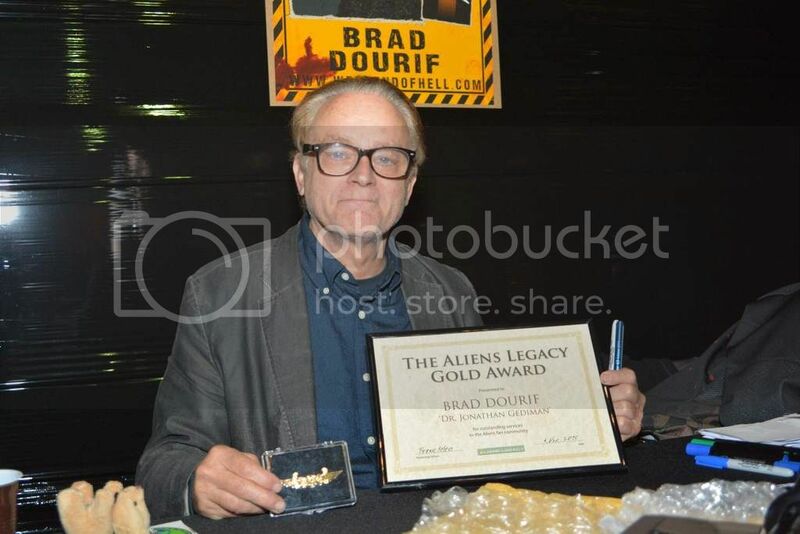 I got the ALG award for Brad Dourif from Harry Harris. Presenting the award is planned for Friday or Saturday depending on his availability. Pictures to follow next week. which he happily accepted. Nice person always joking with the fans when going for a smoke. Greetings from Phobos (Frank von Puch) to Deimos. @Rob you may have a new customer. Meet Gonterman from AvP UG and an aliens fan, who know is a happy owner of a picture of him with a PR. Nothing better than a PR or Alien to make people happy. Well worth going to, if you like Alien Merchandise and The walking Dead. Great costumes. Pictures to follow. More to come. Way to tired now. BTW: Not Alien actor spotting, but Stars, that also like Alien(s), spotting. While waiting for my cab to the venue a member of Public Enemy went by saw my BDU and made an Aliens quote. Ultimate Badass or not we smilled. Great news about Herr Dourif and the ALGA. Well done Frank! Did you or anyone manage to get any video of the presentation? Thanks. Sorry, only pictures, no video. Not sure if video is at all allowed. While waiting for my cab to the venue a member of Public Enemy went by saw my BDU and made an Aliens quote. Ultimate Badass or not we smilled.